IF YOU FIND ERRORS PLEASE BE PATIENT WHILE WE ARE WORKING ON THIS WEBSITE. MANY MORE COURSES AND FEATURES ARE COMING SOON. 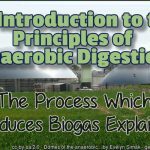 The primary purpose of this site is to enable experts in anaerobic digestion and biogas to share their knowledge. 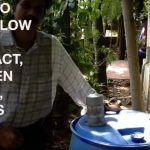 The AD Training Club will provide specialist training for biogas design, installation, operation, optimization and general safe and profitable AD Plant operation. The AD Training Club is a new concept in training for the bio-resources industry. However, it’s not knew to academia, and we aim to follow the trend toward online education, through written content, and multi-media including embedded videos, and downloads in the form of presentations (ppt files), course eBooks (pdfs) etc. We are adding courses all the time. 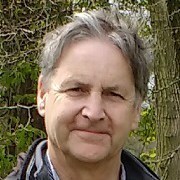 At the present all the courses are free, but we are working on paid courses, which will be published by website creator, and biogas expert Steve Last, in the coming weeks. 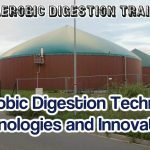 The initial courses are compilations of embedded videos (mostly from our own YouTube website #anaerobicdigestion). In future we will be adding specially created course videos. This site was really built with students, and contributing experts, in mind and we hope you will find it very useful. Your comments or questions are, of course, very welcome. This site is maintained as an independent web site by EurIng Steve Last Bsc CEng MICE MCIWM CEnv. I have worked as a consultant, for more than 20 years and for the most part I have been providing advice to the Waste Management Industry. I would be pleased to hear from anyone who would like to join in this venture and author additional training courses on this web site, advertise, or provide sponsorship.